the run was... great! haha. it's my second time to run around MOA/Pasay Area, my first time was during Red Cross Million Volunteer Run (which was kindof bad), so this is definitely the better of the 2 runs. 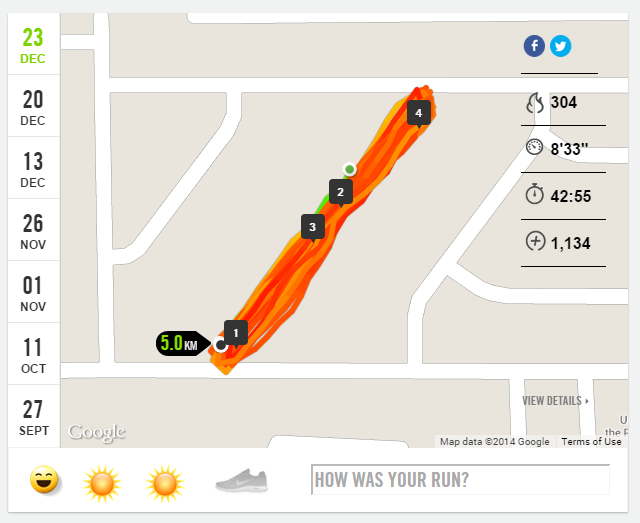 when the nike+ app announced 5k, i was sooo frakking happy i could imagine the gray pavement turning red, lanes being drawn with white strips, and a finish tape waiting to be breasted in slow-mo. BEST. FEELING. EVER. sooooo.... i have to gooo!!! Many women decide that they would like to get pregnant while they are still breastfeeding. However, many women do not realize that breastfeeding is actually a natural contraceptive that disrupts ovulation. 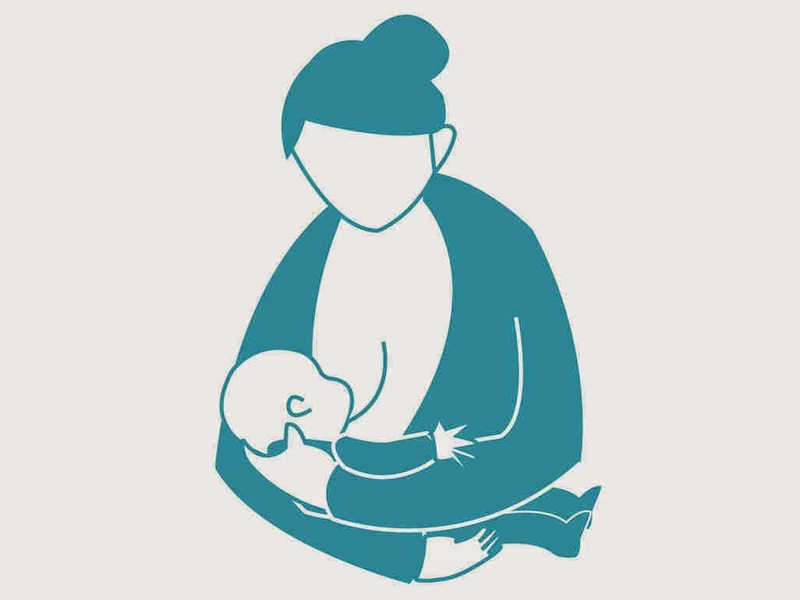 Breastfeeding makes it harder for ovulation to return to normal after giving birth, and can keep women from being able to get pregnant again. According to Pregnancytips.org, there are a few things that you can do to try to improve your chances of getting pregnant while breastfeeding if that is something that you want to do. First of all, once your baby begins to sleep through the night, you can try to space out your breastfeeding sessions as much as possible. The longer you space out your breastfeeding, the more likely you are to “trick” your body into beginning to ovulate again. The same is true for when your baby begins to eat solid foods. The truth is, the older your baby gets, the more likely it is that your periods and ovulation cycles will begin to return to normal, and you will be able to get pregnant again. So ultimately, the breastfeeding phenomenon acts as a contraceptive. So for parents out there who'd like to get another baby while the mother is still on it, spacing is the key! last month i gave you an update on what's up on FYI for November, now it's time for this month's update! 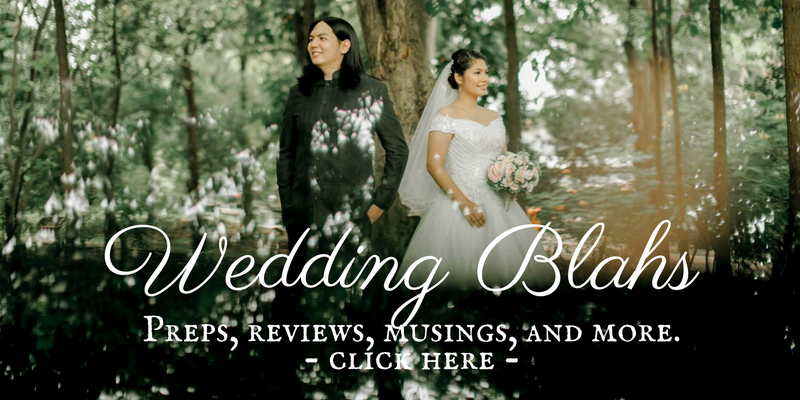 since we're all in the midst of this merry season celebrating here and there, attending parties, and cooking for the family, i'm so sure you will enjoy this month's lineup as we're all about FOOD! let me take you to FYI's December lineup that will surely fire up your gastronomic senses! Immerse yourself in the hearty, local flavors of Vietnam with Taste of Vietnam. Host Robert Danhi takes us on not just a food odyssey in Taste of Vietnam, but a voyage into across the country trying local food as he meets fascinating people along the way, unveiling the hidden charms of Vietnam as he curates this dynamic culture to find the deepest flavours in each community. 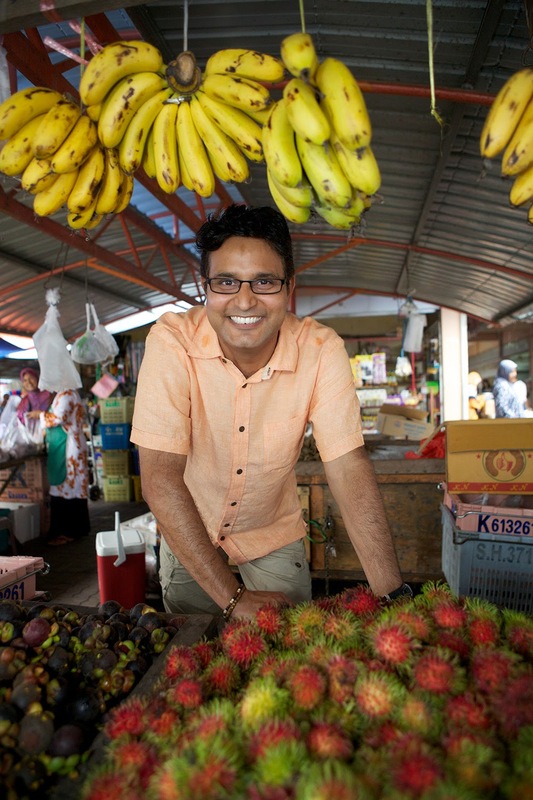 Explore Kuala Lumpur, Malaysia, a melting pot of Asian flavors with Atul’s Spice Kitchen: Malaysia. Double Michelin-starred chef, Atul Kochhar travels to Malaysia in Atul's Spice Kitchen: Malaysia, exploring the country’s traditional cuisine and its spice trade influenced by Chinese, Indian, Portuguese, Thai and Arab flavours. In the first episode Atul lands in the diverse capital of Kuala Lumpur, discovering hidden gems, sampling authentic Nyonya dishes and preparing a Rogan Josh for a wedding. Travel to the West and discover what’s been tickling the taste buds of America with The Feed. Join culinary expert Gail Simmons; superstar chef Marcus Samuelsson; and comedian and food writer Max Silvestri anchor a rollicking adventure into the world of culinary and food culture in America as they share their take on today’s most innovative food trends. Each episode of The Feed pits the unlikely combination of these three personalities against each other in unconventional food challenges that allow each competitor to show off their unique perspectives on the food world. That's it! Make sure to tune in FYI Channel and immerse into these unique food adventures! when i first heard of Peak Form, i thought it was a yoga studio. it sounded like one! haha but apparently, it's not! it's a sports clinic, and a literal one at that! it's where you'd want to go if you want expert medical treatment and advise about sports related health conditions. Jaymie Pizarro, The Bull Runner, herself testifies to the awesome wonders the technology of Peak Form has done to help her quads recover. it's amazing to know that specialty health centers like these exist in a metro full of sports advocates! what with the apparent boom of fitness conscious fellows, almost everyone wants to get into a sport. with that in mind, it's reassuring to know that there's a clinic we can run to to get our body recovered in case we face injuries and such. Peak Form is definitely a front runner in providing only the best services to their clients in terms of sports medication and therapy, and that includes having one of the best names in Sports Science to lead their team. 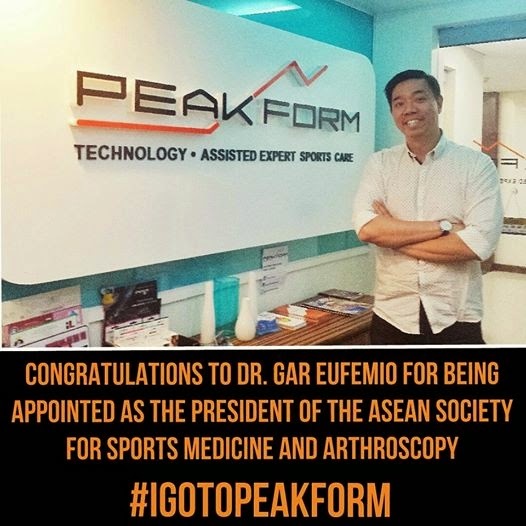 Peak Form is pleased to announce the Dr. Gar Eufemio has been appointed as President of the Asean Society for Sports Medicine and Arthroscopy. He is an Orthopedic Surgeon who finished as Chief Resident of the UP-PGH Department of Orthopedics and had his fellowship in Sports Medicine at the University of Cincinnati. He was the founding head of the UP-PGH Department of Orthopedics Sports Clinic for ten years. He is the Head of the Ortho-Rehab-Rheuma Division of the MegaClinic and has set up the Sports Medicine and Arthroscopy Units of Healthway Medical Clinics and My Health Clinic. In 2008, he was the “Godfather” for the European Sports Medicine Travelling Fellowship program. In 2011, he underwent additional training, this time on platelet-rich plasma, or PRP, in Milan, Italy. He practices in Cardinal Santos Medical Center, MegaClinic and in the recovery center. He was the President of the Philippine Orthopedic Society for Sports Medicine from 2011-2014. With Dr. Gar Eufemion leading the team at Peak Form, anyone can definitely confidently say that I’m glad #IGoToPeakForm. anyway, in the end i came with jeckie and joma (his officemate), and together we went to BGC on Saturday (November 29) to collect our kits. chos. but then, while claiming our shirts. they wouldn't let us form a group of just 3. aw. so we had to team up with other people looking to complete their groups. that's where i met kuya Jesus, who was looking for 3 more to complete his team. Amen! when all 10 of us huddled up, i was looking at my team and thought, hindi naman kami competitive so it's okay that our group is composed of a bunch of middle aged men who looked like they were only in it for the run. they looked like they could run. and we 3 looked like we could solve puzzles. and that's about what we need in a team right? haha honestly, i was a bit disappointed and thought for a while if we actually have a chance of winning with this team. ang sama ko. sorry po. before the race started, i spotted some QC Marsians and asked them how come they're all here! 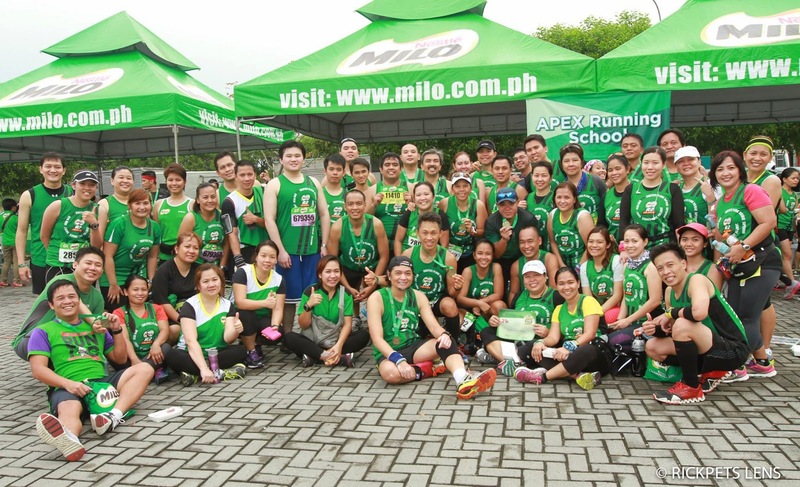 apparently, the event was also offered for free for MARS (Milo Apex Running School) students and i didn't know because i was absent when it was announced. part of me died and wished i was in their team instead. ang sama sama ko talaga. Each team will be given a small envelope with puzzle cards that they have to solve. each puzzle will reveal a location in BGC that they have to seek out. on each location, they have to perform a challenge. and on every challenge they complete, they will be awarded stars (3,2,1 stars in order of performance) that will be stamped (well, stickered) on their score cards. teams will have to perform as much challenges as they can, and earn as much stars as they could. after 3 hours, they must surrender their scorecards back to the commencement area for evaluation. 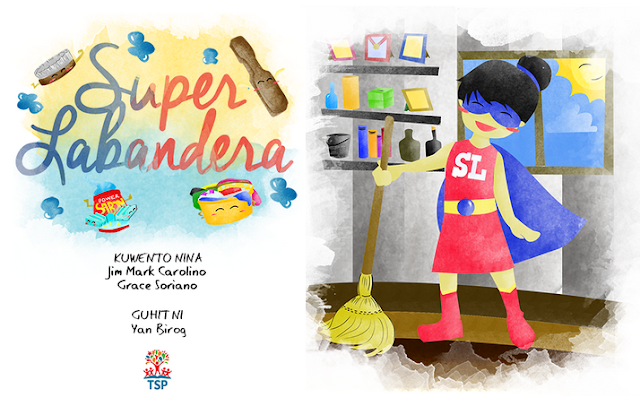 the winning team will get 50,000 pesos! i don't remember what the other prizes were hahaha! The first puzzle card we solved led us to 9th Avenue at Bonifacio High Street. i don't know where the hell that was but i thank God our team is composed BGC Guards lang naman *ehem* *ehem* who knew every nook and cranny in BGC. we just had to tell them and they will lead us to the place! it fascinates me to no end how they knew every single place in BGC. as in! as we were solving puzzles, we would consult them again and again if any of the words we're forming is making any sense. "kuya, ano yung market? market market ba yun?" 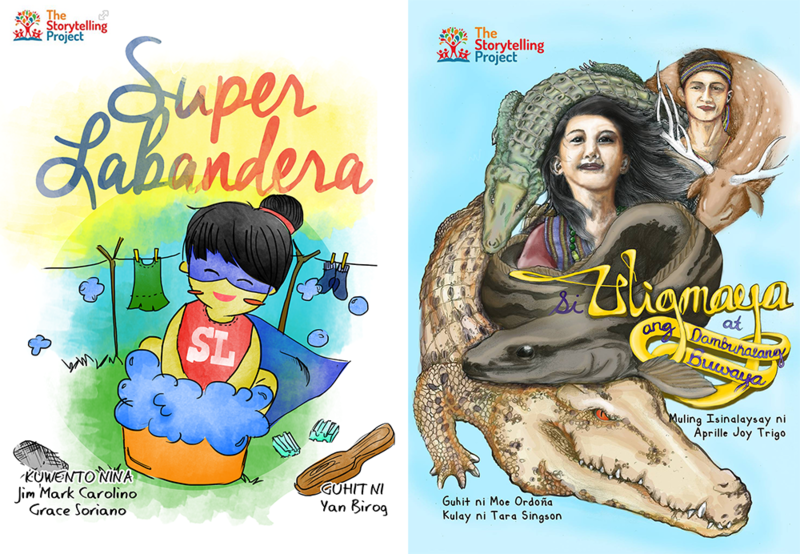 "ah hindi ibang market yan. dun yun!" "kuya, ano yung may kalikasan something?" that's a drone up there surveilling the place for cheaters. lol. we were actually called out for opening the envelopes before the announcement to begin took off, but that's because we thought it was already announced. we were just so atat. sorry. the event staff was kind naman not to disqualify us so thank you! Here's a shot of my food. Heart shaped buns kamown! deeeeym that thick beef patty stuffed with caramelized onions and cheddar cheese. reminds me of Stuff Over at Maginhawa, only waaaaay more affordable. didn't quite enjoy this honestly. Big B parin the best! going home was terrible cos no taxi would accommodate us. i always understand naman cos makati to fairview is a pain in the gas. i had to add an extra fee para lang makasakay. buti na lang hindi traffic sa EDSA! yeyy!! 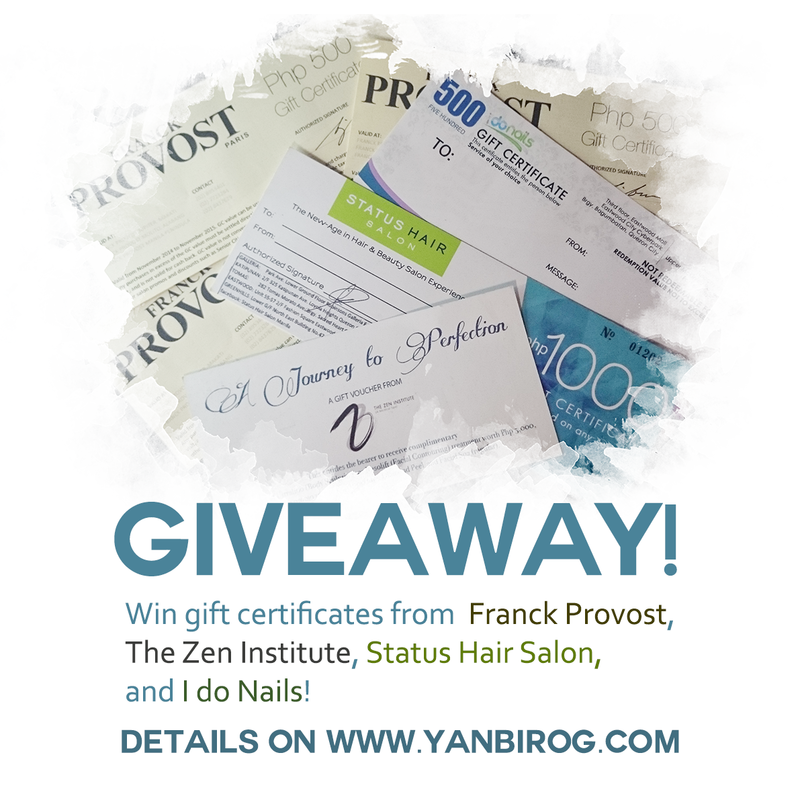 I mentioned some entries back that i was planning on giving away a couple of gift certificates that i won't be able to use because of their locations. 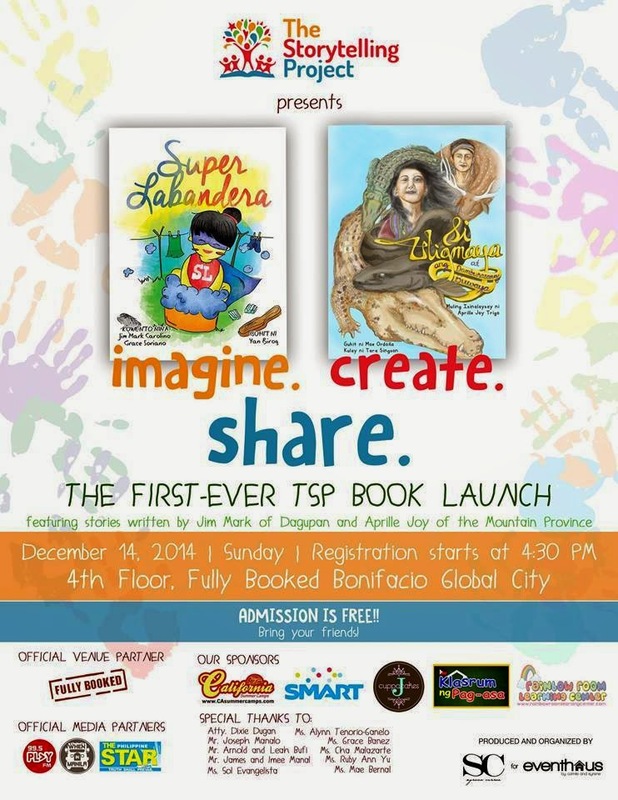 Dahil dyan, eto na! 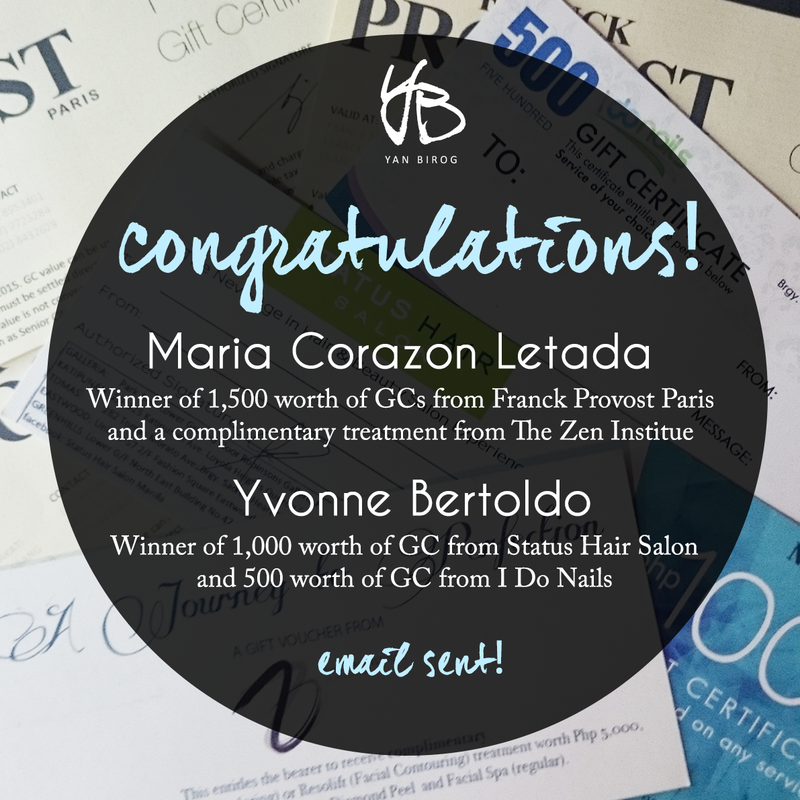 I'm giving away some 3k worth of GCs to two lucky winners. 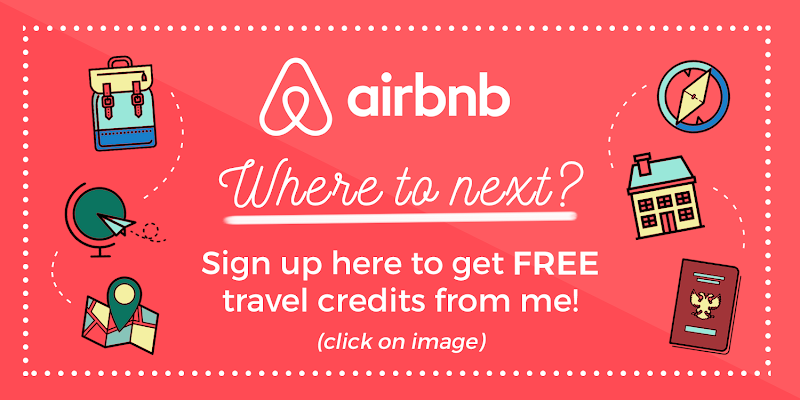 - Valid at Franck Provost branches at Jupiter Makati, Molito Alabang, and Manila Peninsula (Makati). 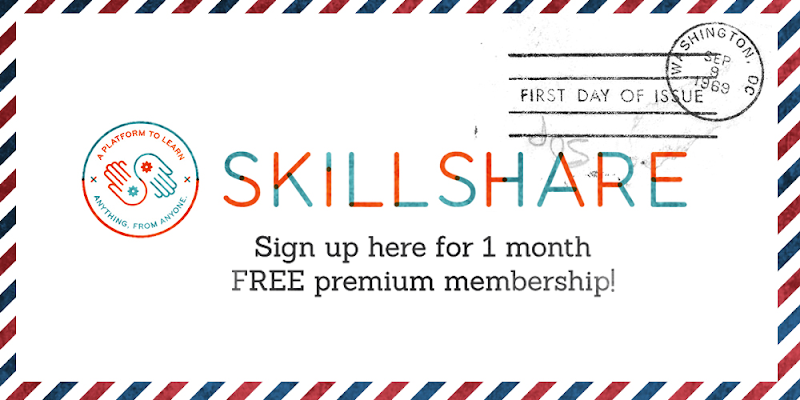 - Valid from November 2014 to November 2015. GC value must be used in 1 visit, and is not valid for cash back. GC value is not convertible to cash. Only 1 GC per person will be honored per redemption. - 15 minutes complimentary Ultralipo (Body Sculpting) or Resolift (Facial Contouring) treatment worth Php 5,000, and a promo rate of Php 1,000 for Diamond Peel and Facial Spa (regular). 5. If you win, all of your entries will be validated for completeness. Alright, off you go to the Rafflecopter! a Rafflecopter giveawayIf you're having trouble loading the Rafflecopter widget, you may also access it here! Congrats to the following people! Email sent! [FIXED] Have you been getting this sorry message from Google? ... but your computer or network has been sending automated queries. To protect our users, we can't process your request right now. one forum post suggested to disable some page ranking plugins, cos they might be the one causing the automated queries. in my case, i have Alexa toolbar installed but it was disabled. the only enabled plugin i have is McAfee Site Advisor, so i deleted that. i also deleted Alexa to be sure. in fact, i deleted all of the plugins i'm using at chrome! there's not much anyway haha take note that i deleted them, and not simply disabled them.